OMING FROM a fine-art background, Charles’ studio has always been central to his work as an artist. Mays Barn is his physical studio at his home in Berkshire. It’s the setting for a huge variety of drawing and silhouette research, and provides the opening scenes in Silhouette Secrets. Once a year the studio is opened to the public as part of the Caversham Arts Trail. A set of standing floor-level silhouettes. These were cut life size from MDF and used as a backdrop for a conference platform. Silhouettes are ever popular as illustrations. Their simple outline gives an immediate message with no superfluous detail to distract the viewer. There are many silhouettes freely available on the internet. However, for those occasions when you need something more bespoke it makes sense to contact a silhouette artist. Charles cuts his illustrations from black paper, then scans and further refines them in Photoshop. The final images are supplied as high-res digital files. 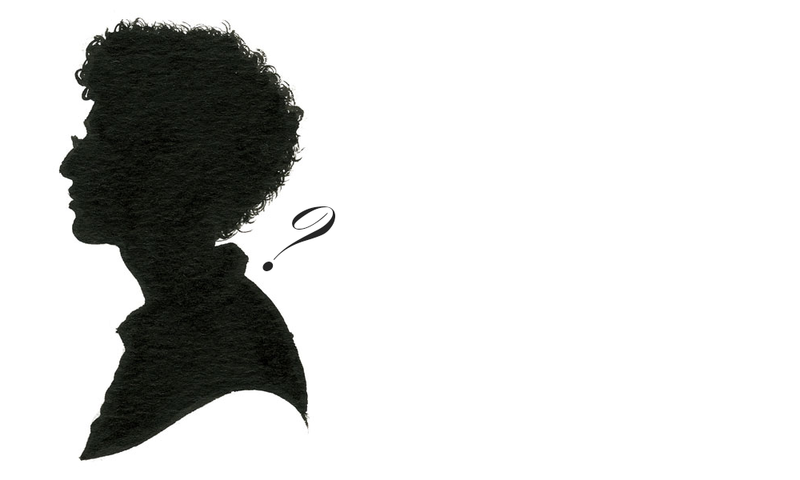 Charles has long been interested in historical portrait silhouettes. Traditionally, the difference between a silhouette and a miniature portrait is the blank face. 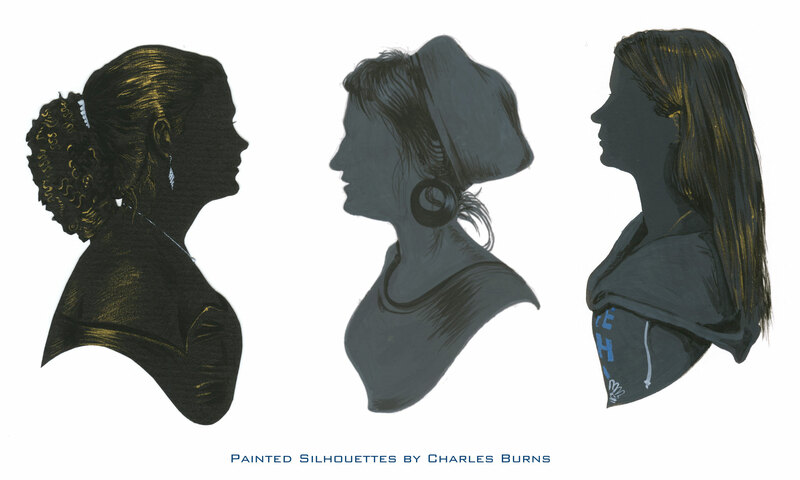 Georgian artists employed a wide range of techniques to embellish their silhouettes, and Charles has experimented with all of them. These various styles are available as commissioned portraits. Some are cut, while others are painted or drawn. The process involves a short live sitting, at which Charles will makes some initial cuttings and take some photographs. The silhouettes are later finished in the studio. If you are interested in portrait silhouettes do get in touch to discuss the various options. If you are based overseas it is possible to carry out a sitting using a video link such as Skype or FaceTime. A set of miniature portraits, cut from white paper and embellished with graphite. Centre is Michael Herbert. En-grisaille portraits are cut from white paper and then embellished with fine pencil. Charles began his career as a portrait artist, so the move from silhouette to portrait is a natural one. These are his favourite kind of portrait silhouette and form the most advanced project in Mastering Silhouettes. They generally look best mounted on dark blue paper in an oval frame. The actual cuttings measure only 2 – 3 inches. The process is the same as other portrait silhouettes above. One of our favourite projects in Mastering Silhouettes is the set of 1/48 scale portrait silhouettes created for a doll’s house interior. You can commission your own silhouette, less then 1cm high! Drawing is at the heart of cutting silhouettes. Charles describes freehand cutting as like drawing a one-line portrait with a pair of scissors. 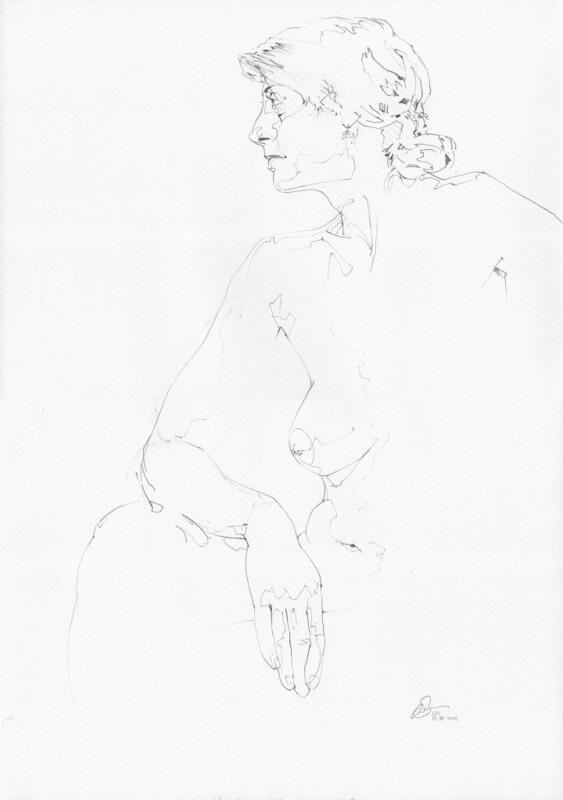 For this reason the ongoing practice of drawing is vital to his work as an artist. For many years Charles ran a local life-drawing group at Mays Barn. He used it to experiment with a wide of media and style, publishing his best drawings every year in a series of studio catalogues. Past studio catalogues will shortly be available on Charles’ blog.